For residential power users, being on the right plan – Low User or Standard User – is just as important as selecting your power retailer. If you’re on the wrong plan you could be paying too much (as much as 100% too much) for your power. Read on to see how to get it right. Where did this Low User charge come from? In 2004, as a piece of legislation was passed by the government to “…ensure that electricity retailers offer a low fixed-charge tariff option … that will assist low-use consumers and encourage energy conservation”. For insomniacs, I’ll put a link to the legislation at the end of this post. What this means in practice, is that for your main home you can elect to be either a Standard User or Low User. Your power bill is made up of a fixed daily charge + a cost for each unit of electricity used. For Low User residences, the law limits the fixed daily charge for your electricity to 30 cents + GST per day or $126 per year including GST. For standard users, the fixed daily charge is often between $1.50 and $2.50 per day. Before the pitchforks come out against Standard User plans, the reality is that it costs more than $126 per year to get power to your house. So a Low User plan will have a significantly higher per unit charge to attempt to work around the legal limitation. You can see the Standard User pays a higher daily charge ($990 per year inc. GST) but their per unit cost is almost 30% cheaper than the Low User. (If you have picked up that the Low User daily charge is 37.5 cents, not 30 cents, this is because GST and the prompt payment discount of 20% have been added. Once these are removed, it’s indeed 30 cents + GST). 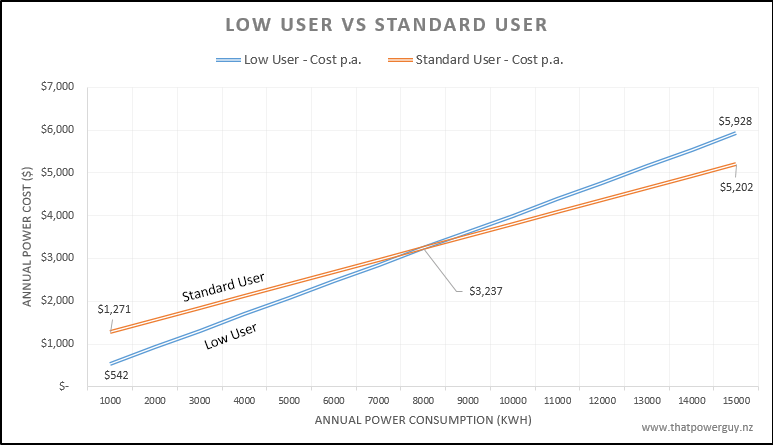 For our example Taupo homeowner, I have plotted what their annual power bill would look like if they were as a Low User or a Standard User, using increasing amounts of power. I have started at 1000 kWh per year (a very frugal user) through to 15,000 kWh (a large family, with electric hot water and heating). You can see the usage figure along the bottom axis & the annual cost on the left-hand side. If you are on a Low User tariff, but using higher than average, it costs you more because of the higher per unit charge. To provide some context, The Power Guy’s has is a (relatively) normal family of four living in a three bed NZ house. I work from home much of the time, which will increase our bill (excessive coffee drinking) but we also have gas water heating. Our bill last week averaged 9.2 kWh per day or around 3600 kWh per year. 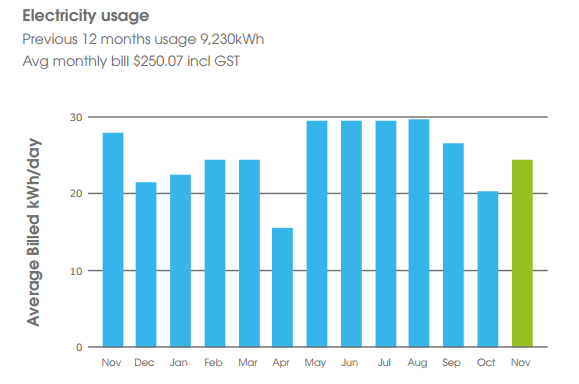 For a single person or couple, I can fully foresee households using 3000 kWh or less per year. What is an Average user? 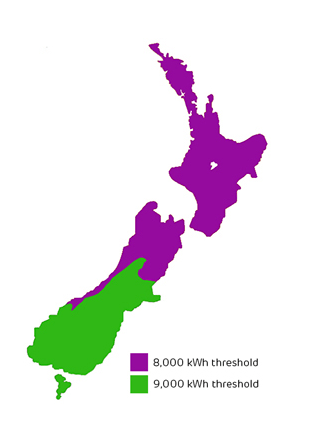 The average household was established to use 8000 kWh (units) per year, back in 2004. Or 9000 kWh if you are in the lower mainland and Stewart Is. So for our example Taupo homeowner, the have an 8000 kWh threshold and this is the crossover point between Low User and Standard User. How do I know which plan I should be on? Check your power bill – if you have been with your current retailer for at least 12 months, they should be helpful and show your historical usage and total this up for you. If not, ask them to provide a figure for the last 12 months usage. Compare this against the average figures for your area of the country. 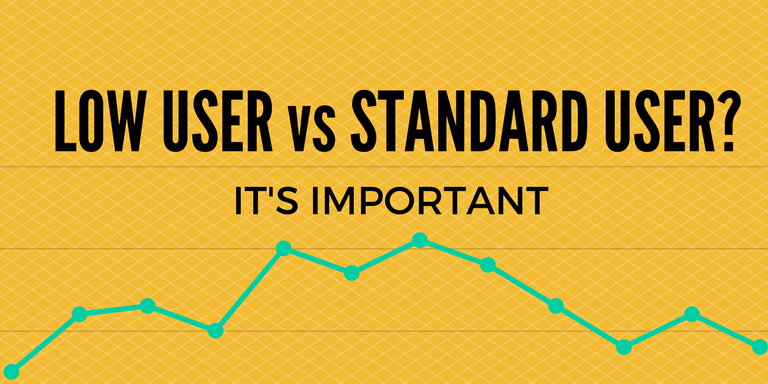 If you are using more than the average, like we were above, you will be better off on a Standard User plan. If you’re using less, you should be a Low User. How do I know which plan I am on at the moment? If this isn’t stated on your power bill, the easiest way is to ask your power retailer. Quote them your address and ICP number (as shown on your bill) and they should be able to tell you. How do I change the plan? If you think you are on the wrong plan, just ask your retailer to change it. Most retailers allow one change per year. So make sure you are not going to dramatically change your usage (like installing a spa pool or switching to gas heating) before making the change. If you are confident on your usage, just do it. My experience has been that many residences are incorrect. When we moved to our new house, the previous occupants were on a Standard plan. But we will definitely use less than 8000 kWh this year. So I have moved us to Low User which will save us around $350 per year. More than a decade on from the 2004 Low User legislation, there is renewed discussion for and against the Low User / Standard User setup. The argument for the Low User plan is that it supports low use households and encourages energy efficiency. Which was the original intent. The argument against is that Low Users are not paying their fair share of the cost of supplying power. Those higher income families with energy efficient appliances and houses are getting the benefit. While those who may not be able to afford energy efficient homes and appliances are penalised. I can understand both sides of the argument, so will be interesting to see how things play out. the fixed charge is $35.29 per day (Excl GST). I am assuming this is the correct rate – do you know where this rate is actually published by the government or is it discretionary for the power company? We are currently building a 2 bedroom holiday dwelling and need to get power connected. Can the house we live in and the holiday dwelling both be in a low user plan. 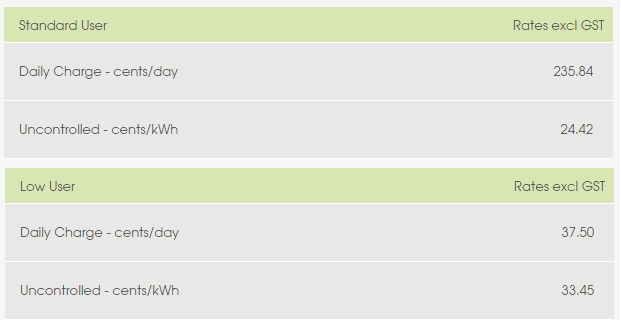 Trying to find out best option as our power usage for the holiday dwelling will be very low due to only being used for various weekends and holidays. Edit: Thinking laterally, it may be possible to get low user on both your primary residence and your holiday home if you slighted confused the situation by having each residence with a different power retailer &/or under a different account name as your primary residence. I would not advocate this approach, as it is misaligned with the intent of the Act and from a fairness perspective (i.e. 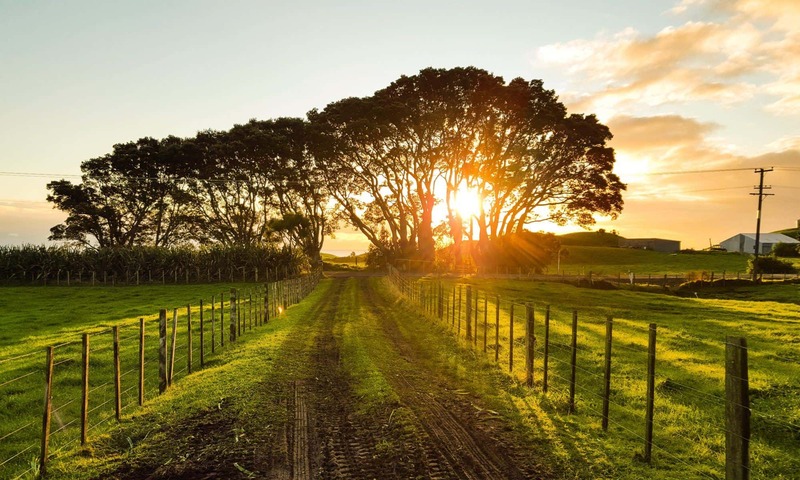 Act was not intended to subsidise holiday houses). But practically may work. You write most retailers allow one switch between low and standard user per year. Is that per calendar year or after 12 months have passed since the last switch? Would I be able to switch twice in a year provided I also switch retailers? Or do the retailers share the last date of a consumer’s low/standard user switch? I am usually a standard user (9100kW/yr), but may have a vacant house for half a year. Looking at all the options of going low user for half a year, or disconnect the house completely. The restriction is generally in place at the power distribution company end (e.g. Powerco, Vector, Unison Networks etc) rather than the power retailer (Flick, Electric Kiwi etc). This is to avoid people being low-user over summer, then becoming standard-user over winter, and back again to low-user in spring. The retailer will follow the requirements of the power distribution company. So – to answer your question – I don’t know whether it is per calendar year, per financial year (e.g. 1 Apr – 31 Mar period) or over the last 12 months. I would suspect it is the latter (over the last 12 months). My recommendation is to call your retailer and ask them what you should do – or even better, call your power distributor as they are usually pretty helpful and will be able to give guidance which is the best option (to change tariff twice, or to disconnect). Faced with the possibility of a dis/reconnection or a double-change in tariff – they may also have the discretion to move you to a lower rate for just 6 months. The retailer will not have this discretion. Hope this makes sense!! Let me know how you get on. Next PostNext Fridge Energy Consumption – How much does it cost to run?